First of all hello, and let me assure you – you have come to the right place. We at Youth Interventions, are experts in working with teenagers who are suffering from emotional problems, misusing drink or drugs, isolating and feeling constantly down – or just behaving in ways that are maladaptive to them and cause harm. Our practitioners have a huge amount of first hand experience in dealing with addiction, compulsive behaviours and emotional distress and we will work with your young person sensitively, effectively and professionally creating their own person centered recovery plan and treatment modality. How did we come to be? Well, Youth Interventions was born from circumstance and each of our practitioners are highly skilled and experienced, likeable (VERY important when you’re engaging with teenagers) and dedicated to this field. In 2015 Louise founded Youth Interventions. The reason that she did this was because she had experienced first hand, bereavement from substance misuse. This was a life changing event for Louise, and she began to work with young people across communities – in colleges schools and residential homes, discussing harm reduction and the impact that alcohol and drugs had on these young people lives. It became apparent to Louise that there was a massive gap in service provision for these young people and many of them were in real emotional distress. When Louise was delivering drug and alcohol harm reduction workshops in schools, many young people would send her scribbled notes asking for some help, and Louise felt compelled to do something about this. Louise’s first Degree is in Social Science majoring in Psychology which she has lectured in. However, her first love and passion is working with young people and after parenting her own three children independently she went back to university and obtained a Post Grad in Addiction Studies and Treatment Modalities from Glasgow University. For her presentation she researched this gap in service provision, working to the hypothesis that treating troubled adolescents could reduce the need for addiction services in adults. After this, Louise trained with COSCA and obtained her Counselling qualification from Edinburgh University, and has since studied as a student of Doctor Sam Himelstein at the Centre of Adolescent Studies USA and is a qualified Trauma Informed Practitioner. As such Youth Interventions now offers treatment and interventions for many adolescent maladaptive behaviours (criminality, self harm, drug and alcohol abuse) and poor mental health. Louise is passionate and dedicated to Youth Interventions, and so far has quietly been working unfunded . “Youth Interventions exists because I believe that young people are entitled to be heard and introduced to the concept of RECOVERY and the assistance to smash shame and stigma. Colin is the Director of Tekbo Ltd, a manufacturing company that he established in 2000. From his humble beginnings in a council estate in Paisley, Colin has built a company that now employs over 50 people full time. Colin has excellent business and financial acumen, and as such he gives this expertise and his time freely to Youth Interventions. Colin is a father of four, and has robust first hand experience of the issues that young people face. Colin’s knowledge, skills and integrity are a valuable resource to Youth Interventions and we are grateful to have him on the Board. Lisa is a practicing registered nurse working in our local hospital, and she has first hand experience and practice of working with our young people, and the issues that they face on a daily basis. Lisa has a strong social conscience and as such is also a Unison representative within Greater Glasgow NHS. Lisa has been practicing for the past 12 years and has a keen interest in both the emotional and physical health of our young people. She is an independent parent of three children and is committed to Youth Interventions as she strongly feels that this is a service that is urgently required. 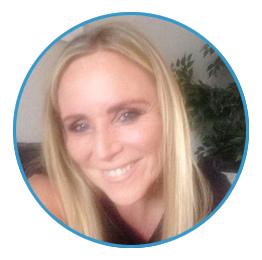 Lisa’s objectives are to provide the best advice, advocacy and professional support to everyone, including families, affected by alcohol and substance misuse and mental health issues. Calum at the tender age of 23 is our youngest Trustee, however he brings an invaluable perspective to our Board. Calum is an ex soldier and has experienced first hand many of the emotional issues that cause our young people distress. He has worked extensively across the Third Sector and is an active fundraiser who has his finger firmly on the pulse of Scottish social issues. Calum offers his time and his opinions and perspectives at our regular Board meetings and brings a very important dimension to our decision making process. Christie is a young, vibrant and committed member of our team. She began training as a nursery nurse at the age of 16, and once qualified, moved into residential care for young people. Christie has first hand experience of the effects of family addiction, and as such has a good understanding on the impact that this can have to children and young people. This is a factor in Christie’s commitment to the work that we do at Youth Interventions. As well as bounding around the classroom sharing her energy, experience and knowledge, Christie also leads a team who support disabled children. She is a vibrant, energetic, skilled and likeable person whom young people respond well to. Christie has her PVG, is a registered practitioner with the SSC, has her SVQ3, and has studied paedagogy at Strathclyde University. Christie plans on studying to be a primary school teacher, but will continue to work with and support the charitable causes of Youth Interventions. Lee is a highly skilled practitioner who works in a residential rehab in Glasgow. Lee is in long term recovery from addiction, and as such, is able to work with those who are experiencing addiciton with empathy, understanding and compassion. His knowledge of recovery and the tools required to maintain it is second to none, and he is an excellent group facilitator. Lee delivers a recovery programme that is based on the principles of CBT but it also familiar and skilled in working to other recovery pathways. His style is full of passion, integrity and humour. Lee is a lot of fun to work with and young people respond to him well.